Although new windows that are now available on the market have diminished the sale of wood windows, they will always continue to have a place in replacement windows today, and in the future. Wood windows are going to stick around for a number of excellent reasons. One of the most being the balance between their cost, and efficiency is exactly the price range that many property owners are looking for today. The way the housing market is in Colorado today, wood windows are neither too expensive, nor too cheap. Instead, they’re just right for someone in Greeley who wants their windows to be a key selling point while selling their property but don’t want to be the most expensive renovation that they made to help sell the place. Unlike vinyl windows or fiberglass windows, wood windows are solid wood all the way through which makes them extra durable. With some storm glass, they’ll be more than enough to last through things such as the typical everyday hazards and storm season in Colorado. At Greeley Window Company, we won’t stick you with anything cheap like balsa wood that’ll get destroyed in a few years. Our windows are all tested, and checked for high quality before any installation in our neighbor’s home here in Greeley is permitted. 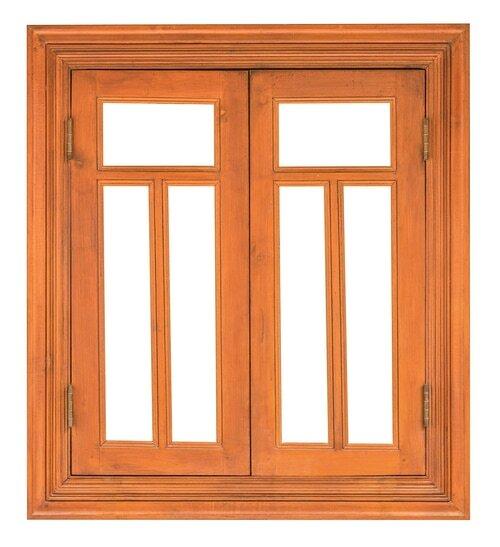 For the homes here in Greeley that are vintage, wood windows are the best, aesthetically pleasing option there is. Although fiberglass windows can be painted to look like wood, real wood windows can never be perfectly replicated and provide a unique look that no other window can. Unlike vinyl windows, wood windows can be painted with fair ease to take on any color that’ll match the rest of your property. Unlike any other window that’s out on the market, wood windows can be stained with a variety of transparent, and beautiful looking wood stains that our customers tend to love the most. Wood windows can’t be filled with insulation, but the wood itself is a great insulator and doesn’t conduct temperatures very well. That means the cold winter or hot summer temperatures don’t seep through the windows very well into your home. The wood itself on the wood windows is more durable than vinyl, and won’t contract as much meaning that the seals will also hold up longer to keep the electricity usage from your air conditioning unit down. Greeley Window Company is a local window company that knows the town and knows its neighbors as well. We hire from the local community and provide experts that can give you a wide range of information so that you get the windows that are best for you as well as your property. With a simple phone call to our window company, we can send over an expert to go over the many options you have available to you, and give you an estimate that’ll be easy to afford. We work quickly, and at a rate that no other window company in Greeley, Colorado could hope to compete with. Give us a call today at 970-373-1665!